For educational environments and bulk order purchasing our pricing is adjusted accordingly. Please contact us with your requirements. We are proud to announce that you can now purchase our books directly from Waterstones - click HERE to view our books! *All Jack, Lilly and Friends books are printed on sustainably sourced paper - for every tree that is cut down, another one is planted! *The Jack, Lilly and Friends brand supports all eco-friendly incentives and only uses biodegradable materials for the printing of our books. 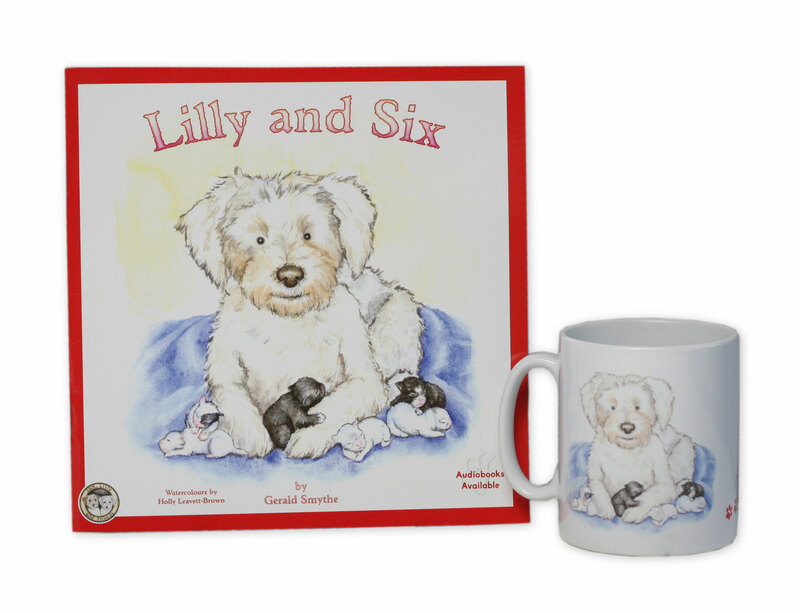 Treat your little angels with these beautifully hand wrapped gift sets, containing all four of the Jack, Lilly and Friends vintage style story books. All of our books feature a variety of breeds of dogs and their experience of life. Each of our characters tell their own heart warming stories providing an entertaining insight into their worlds. 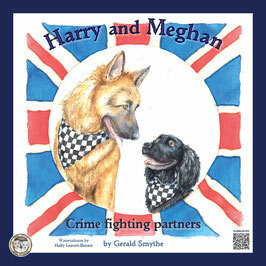 Harry and Meghan are both serving police dogs and are extremely proud of their abilities and devotion of being crime fighter's. 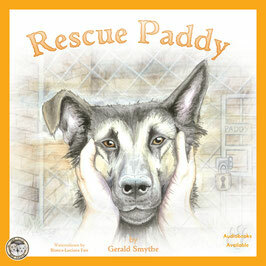 This book features their training, efforts and the skills and thrills of being a police dog. Both Harry and Meghan race to the scene to find Primrose the Pink Poodle in distress. This book contains 2,256 words as part of the story, spread across 28 pages. This is aimed at children between key stage 1 and 2. 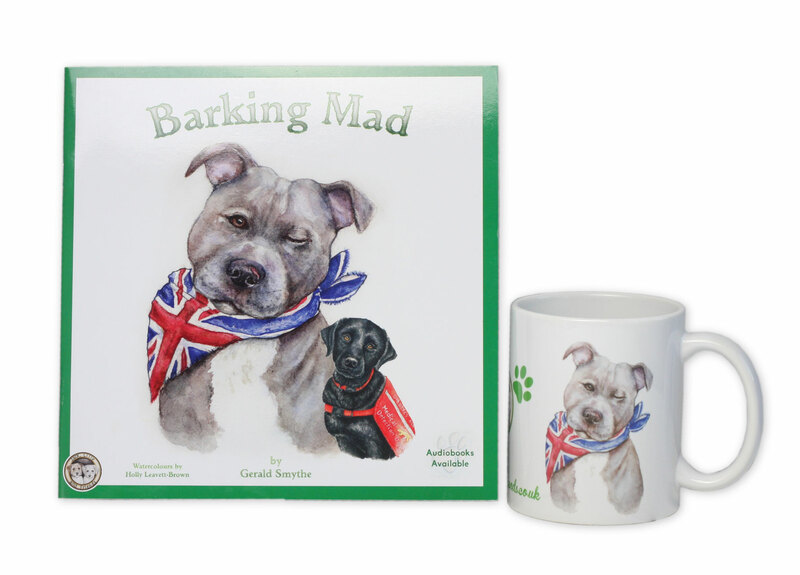 Click the video below to view a preview of our beautiful books. 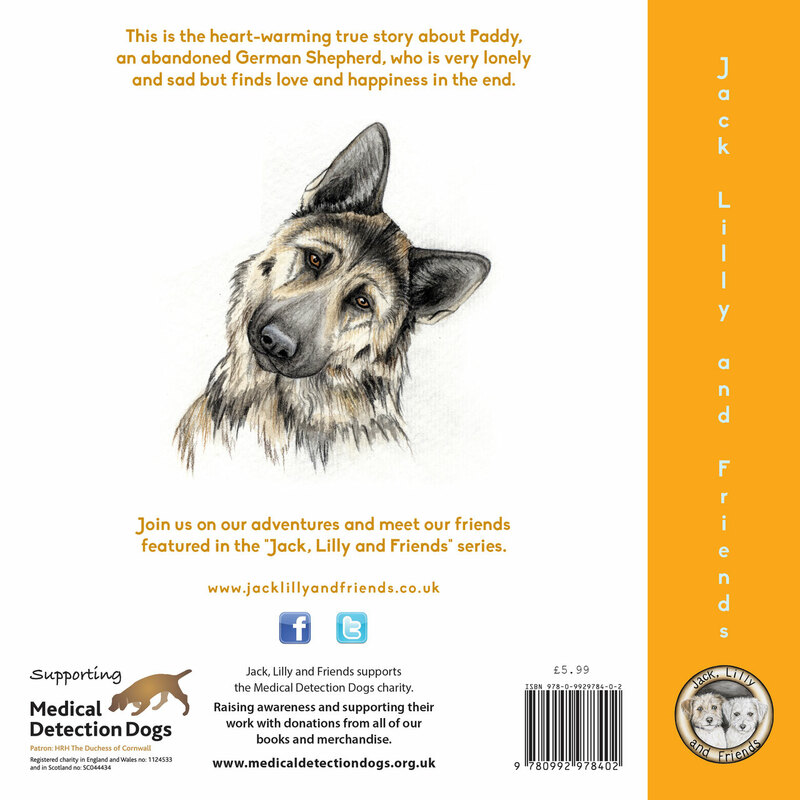 This is a heart warming true story, about a neglected German Shepherd dog, who finds himself in kennels after being abandoned by his previous owners. It was a hard winter and he could really feel the cold as he was still skinny and some of his fur had fallen out. Everybody who came to the kennels seemed to pick the cute small breeds of dogs to rehome, not the big scruffy German shepherd. 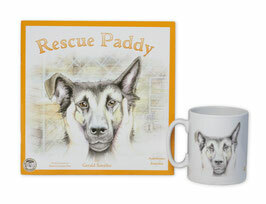 Paddy was sad and lonely, he just wanted to be loved, fed and warm in a forever home. 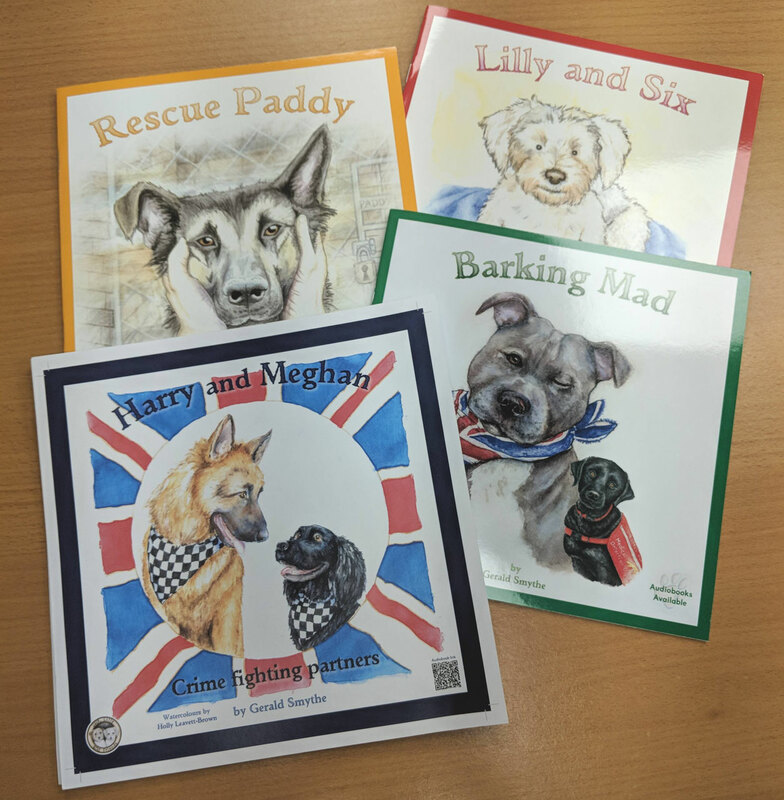 At the back of each book are interesting facts about the breeds of dogs, and also a questions page, that adults can ask children after they have read each book. This book contains 1219 words as part of the story, spread across 23 pages. This is aimed at children between key stage 1 and 2. 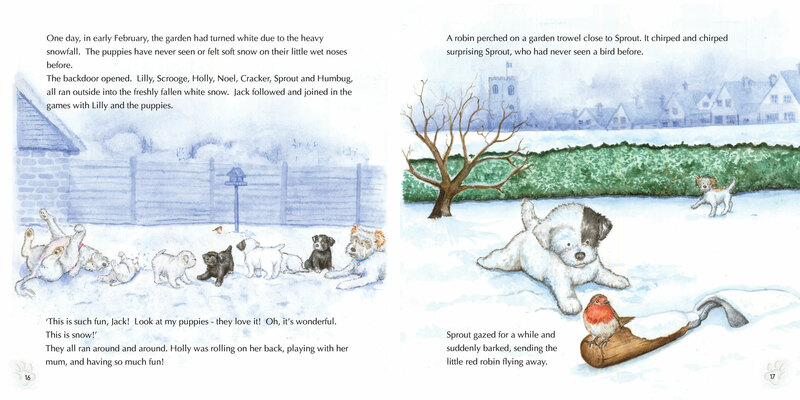 Lilly and Six is a wintery tale about two best friends, a Jack Russell and a Westie Bichon cross. 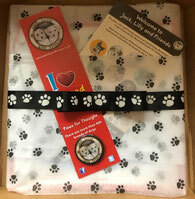 One day to their surprise six tiny puppies arrive, now Jack understood why Lilly was eating more than normal and did not want to chase him around when they went on their walks. The puppies grew quickly and loved exploring their new surroundings especially when they went outside and felt snow under there paws for the very first time, it was cold but so much fun. The house seemed very quiet, but Jack and Lilly were very pleased that all six puppies had found forever homes with loving families. This book contains 1199 words as part of the story, spread across 21 pages. This is aimed at children between key stage 1 and 2. 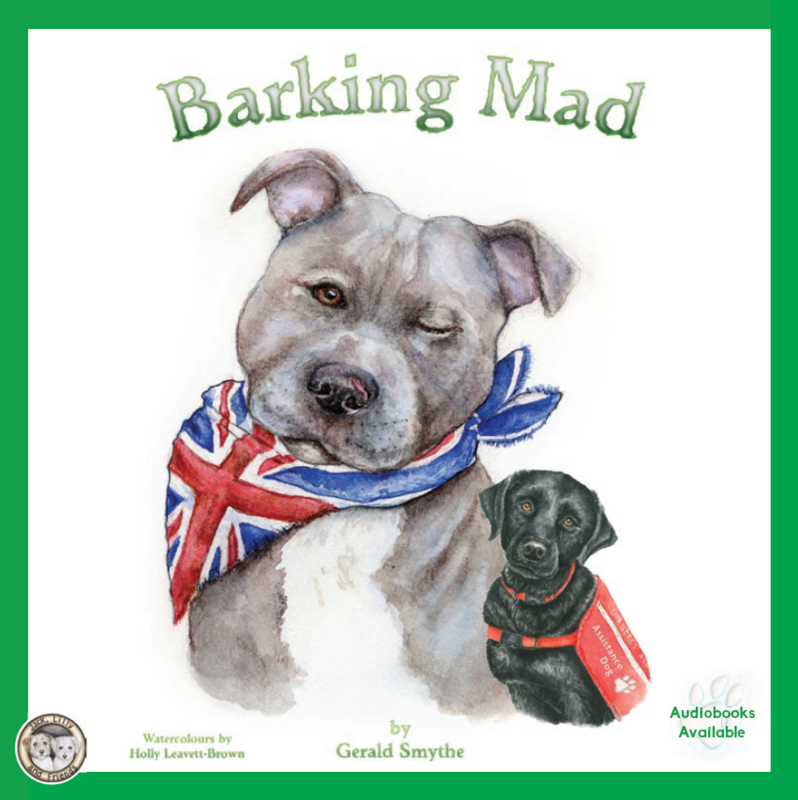 Nelson the Blue Staffordshire Bull Terrier shares his story of living in London with his new friend Pal, a glossy black Labrador. Pal is a very clever assistance dog, who can detect and alert his owner when her sugar levels change as she has diabetes. They become neighbour’s after Nelson is re-homed by a rescue centre and finds a forever home in the beautiful Kent countryside, after being neglected by his previous owners. He now has somewhere warm and safe to live, and a wonderful garden to run around in, but that does not stop his barking!!! The mug features artwork of Paddy and our coloured paw prints and comes gift wrapped in gold paw print cellophane, the perfect Christmas gift. 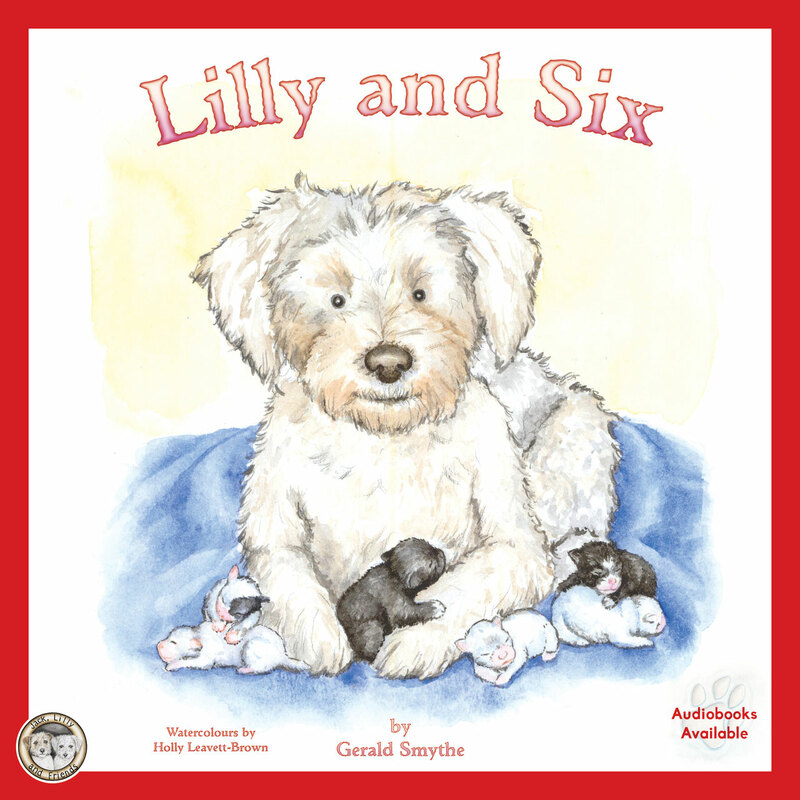 Lilly and Six is a wintery tale about the arrival of six tiny puppies, much to the surprise of Lilly's best friend Jack. 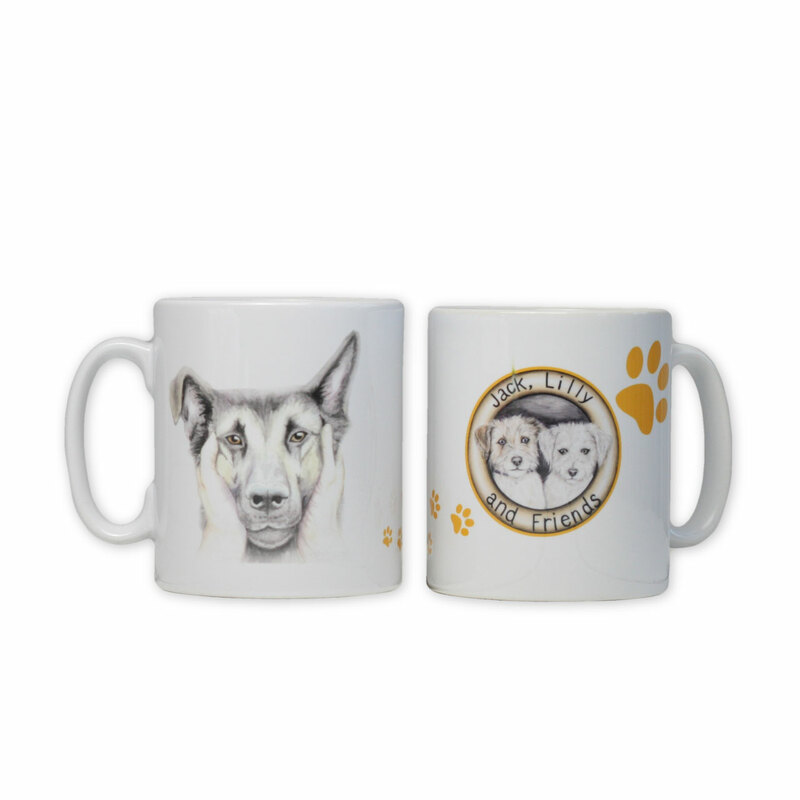 The mug features artwork of Lilly and our coloured paw prints and comes gift wrapped in gold paw print cellophane, the perfect Christmas gift. Nelson the Staffordshire Bull Terrier shares his story of living in London with his new friend Pal, who is a assistance dog. 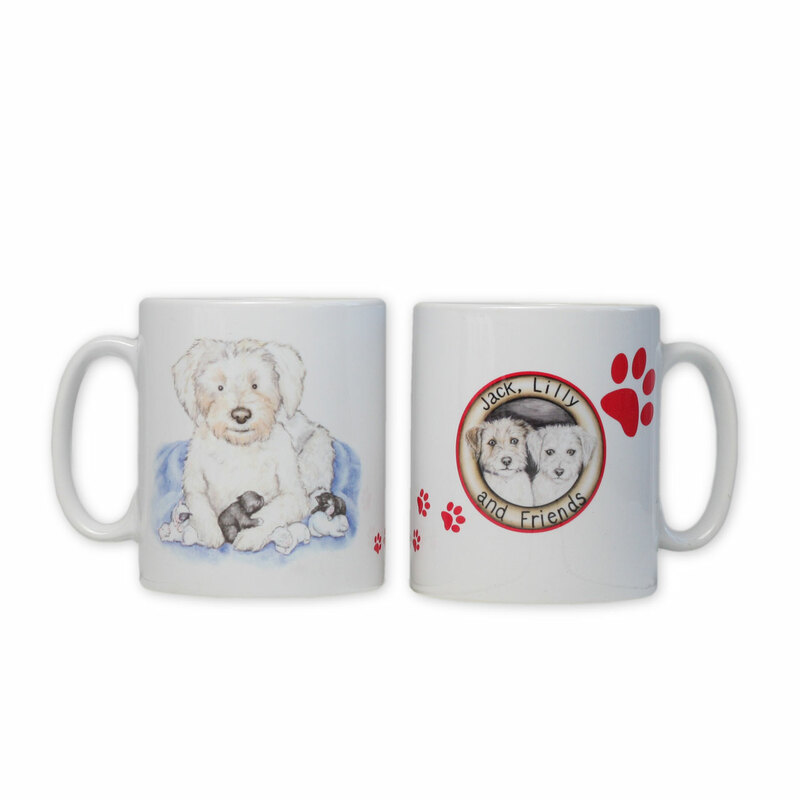 The mug features artwork of Nelson and our coloured paw prints and comes gift wrapped in gold paw print cellophane, the perfect Christmas gift. 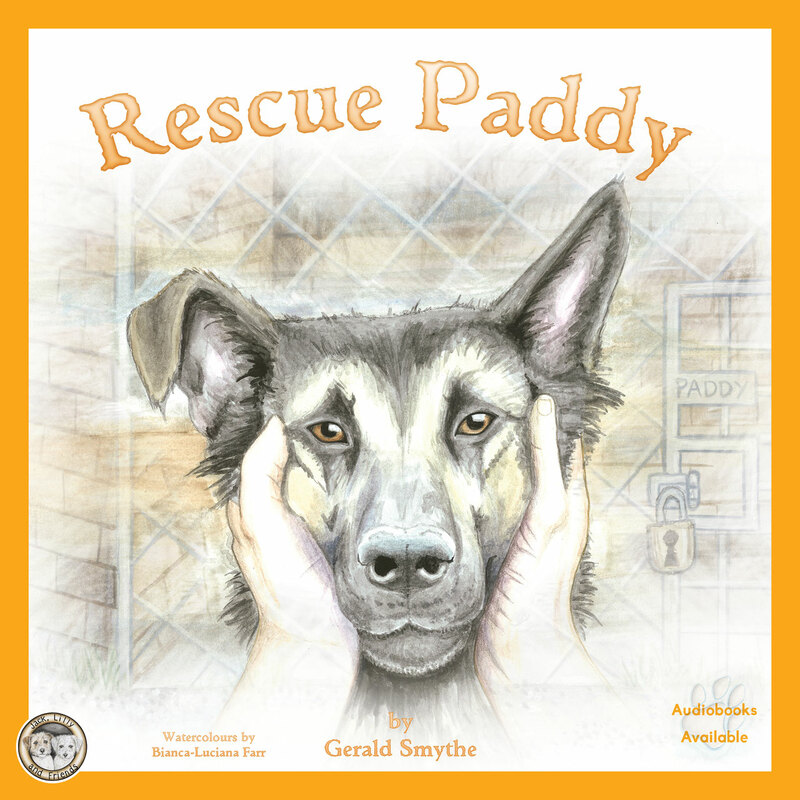 Rescue Paddy -This is a heart warming and true story, about a neglected German Shepherd dog, who finds himself in kennels after being abandoned by his previous owners. Lilly and Six - Lilly and Six is a wintery tale about two best friends, a Jack Russell and a Westie Bichon cross. 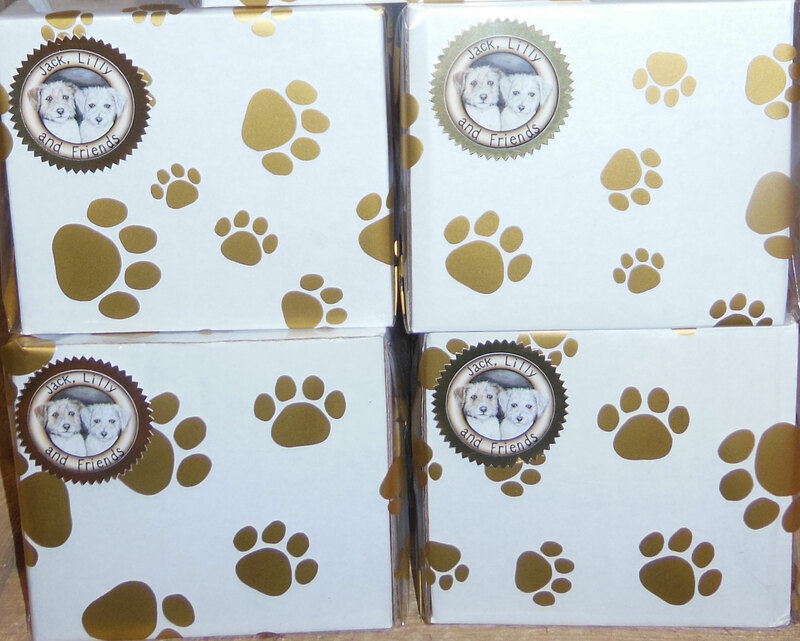 One day to their surprise six tiny puppies arrive. 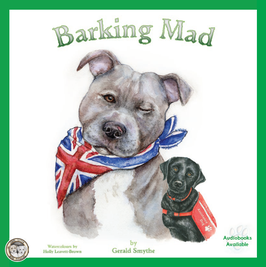 Barking Mad - Nelson the Blue Staffordshire Bull Terrier shares his story of living in London with his new friend Pal, a glossy black Labrador. Pal is a very clever assistance dog, who can detect and alert his owner when her sugar levels change as she has diabetes. 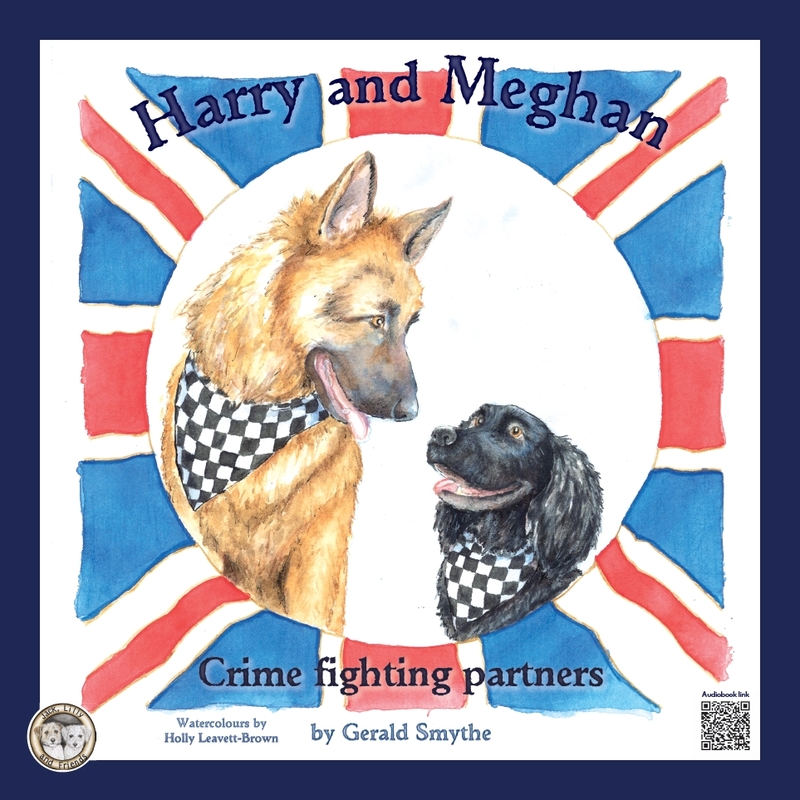 Harry and Meghan - Harry and Meghan are both serving police dogs and are extremely proud of their abilities and devotion of being crime fighter's. 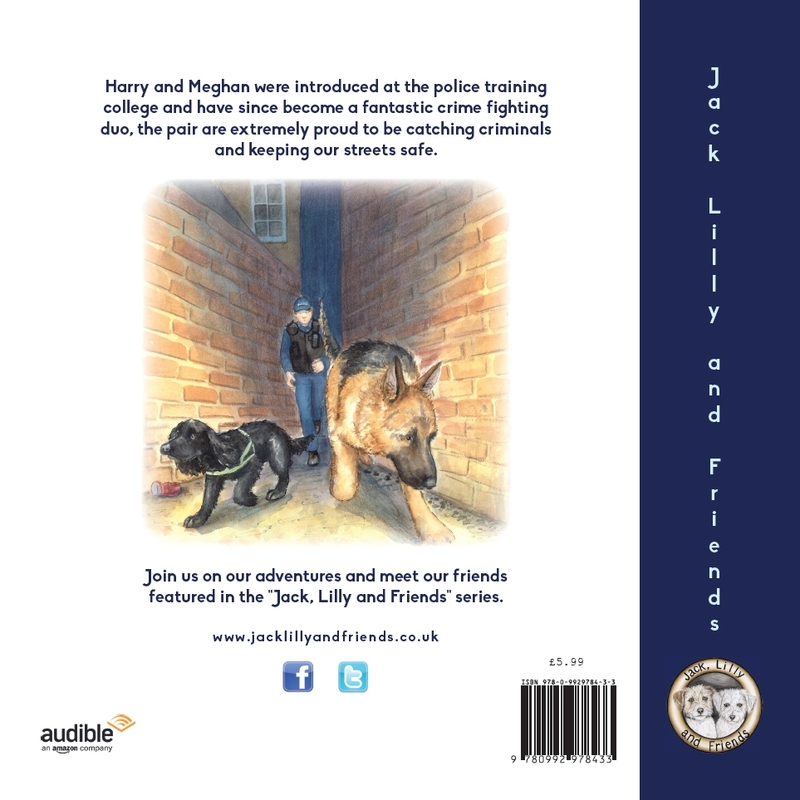 This book features their training, efforts and the skills and thrills of being a police dog. Both Harry and Meghan race to the scene to find Primrose the Pink Poodle in distress. 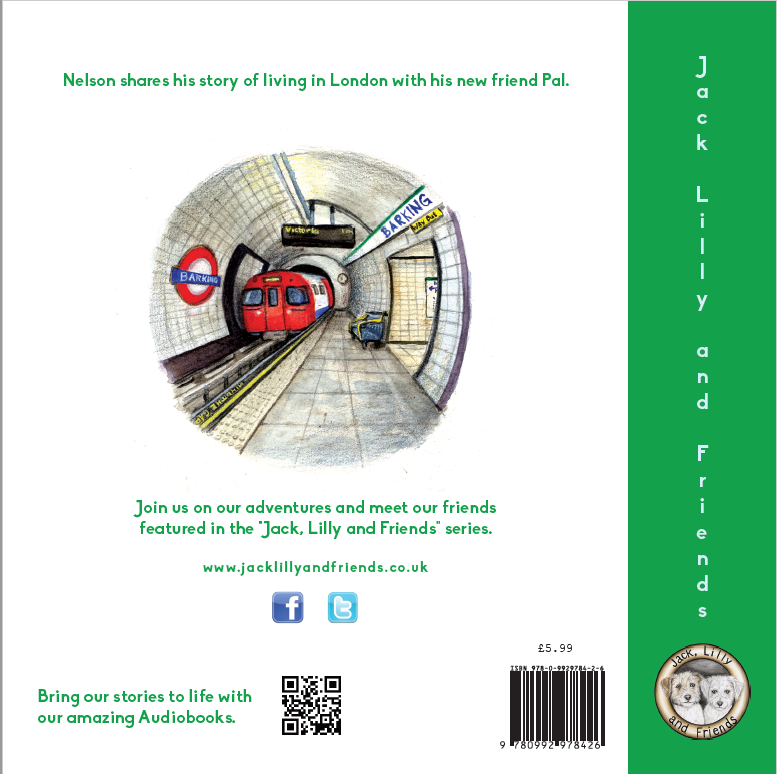 Jack, Lilly and Friends provide fun, factual and entertaining children's story books, accompanied with audiobooks to bring our stories to life. 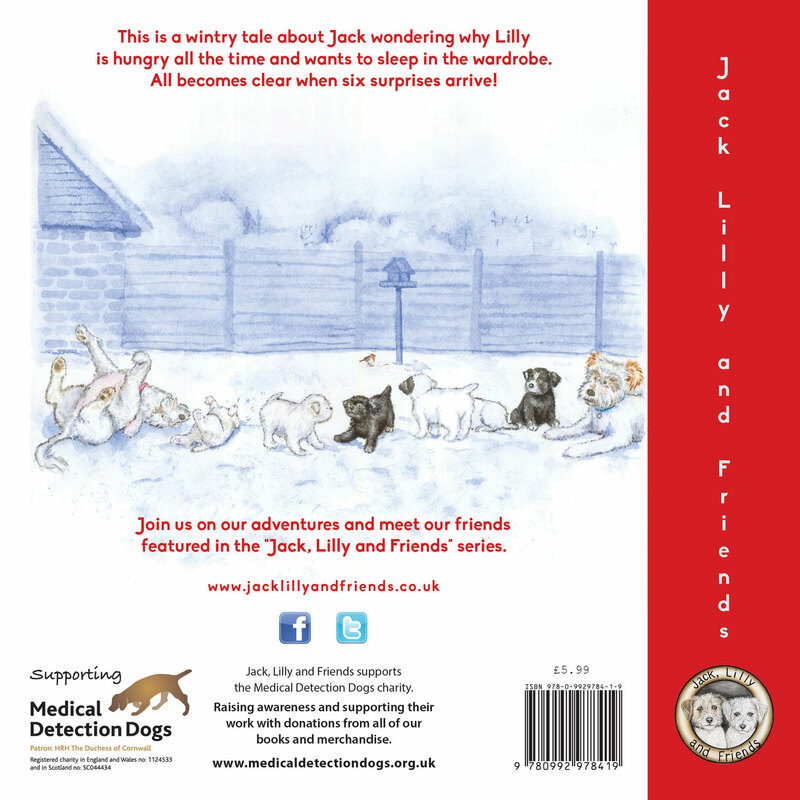 Jack, Lilly and Friends is produced in Kent. The Jack, Lilly and Friends brand supports all eco-friendly incentives and only uses biodegradable materials for the printing of our books.